Welcome to the ODBD Blog! 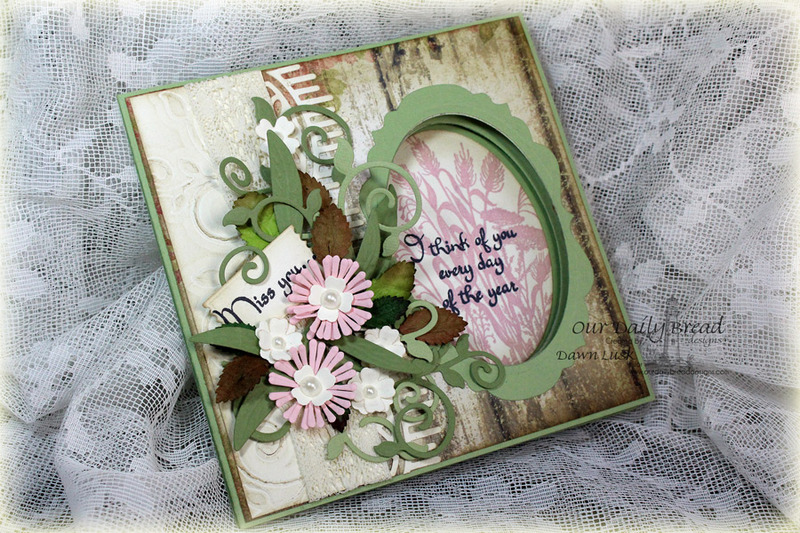 Today we are sharing a Peek-a-Boo Card Tutorial by Design Team Member Dawn Lusk. 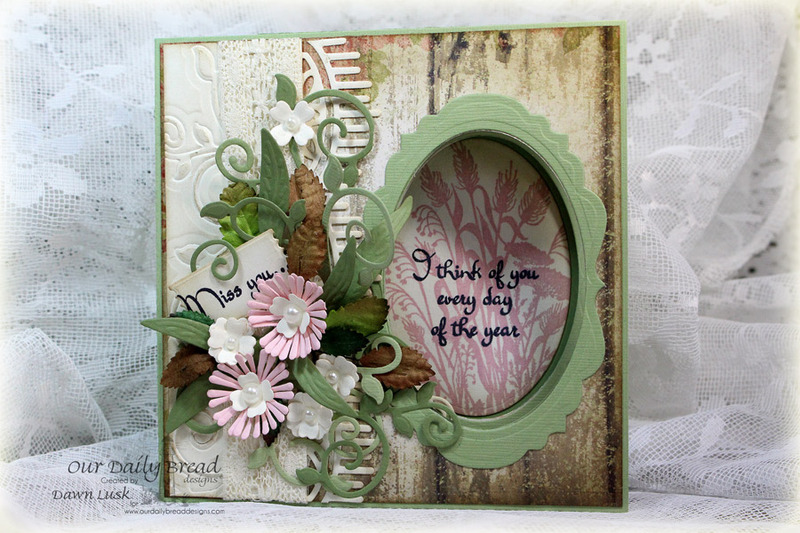 Just look at the beautiful way Dawn embellished the front of her card using various ODBD stamps, Custom Dies and pattern papers! The ODBD products used can be found in the supply list below, simply click the linked projects to be taken to our website. 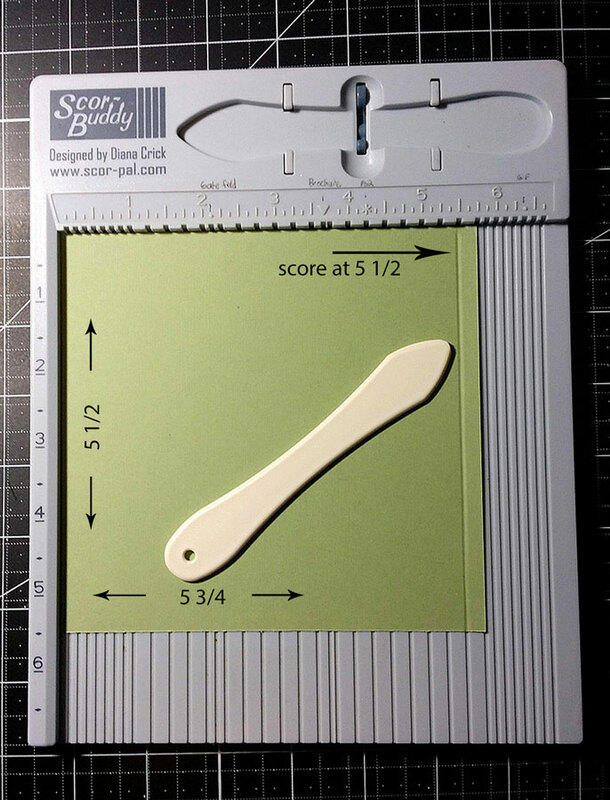 Take the 5-½” x 8-¼” piece of card stock and score at 2-¾”. This will be for the card front (the larger piece) and the ‘sliding’ piece (smaller piece). 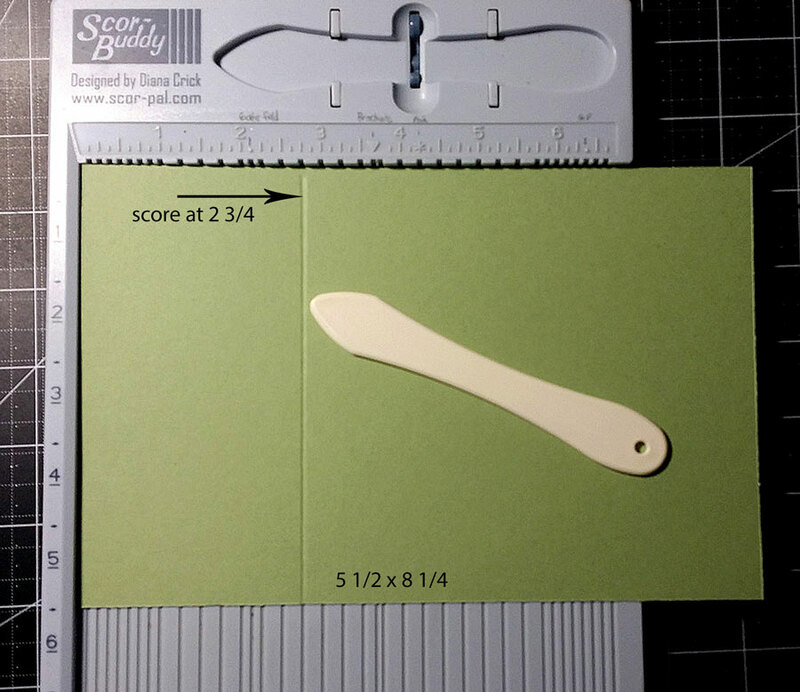 Score the 5-½” x 8-½” piece of card stock at 4-¼”. 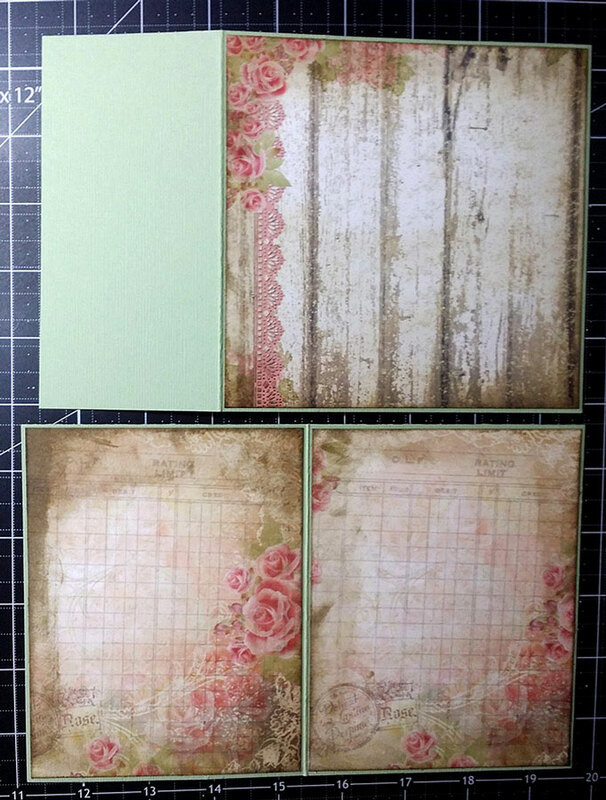 Adhere 5-3/8” x 5-3/8” piece of Blushing Rose pattern paper to the card stock front and the two pieces 4-1/8” x 5-3/8” to inner card. 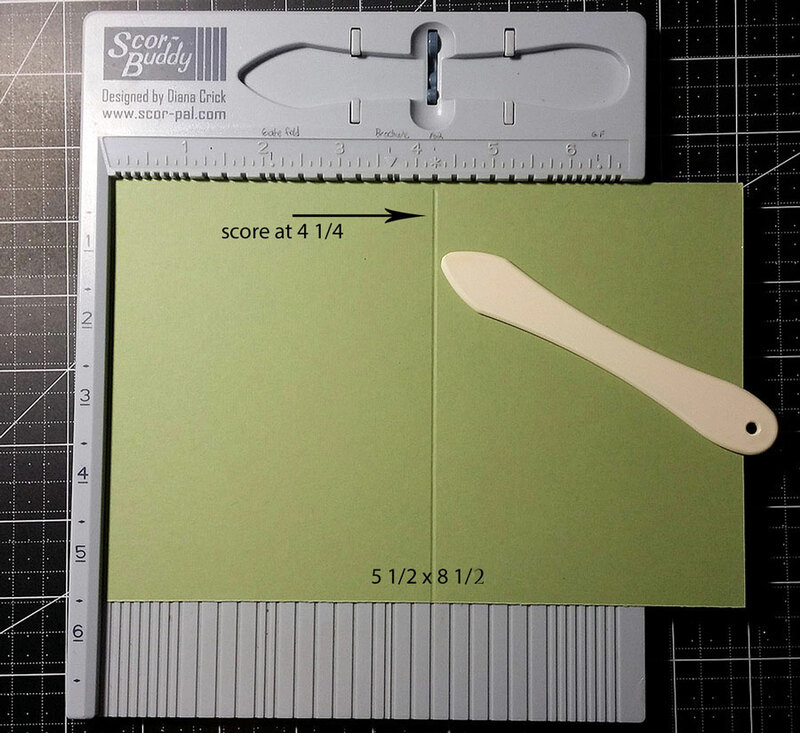 Take the 5-½” x 5-¾” piece of card stock and score at 5-½”, set aside. Take the card front and turn it upside down. 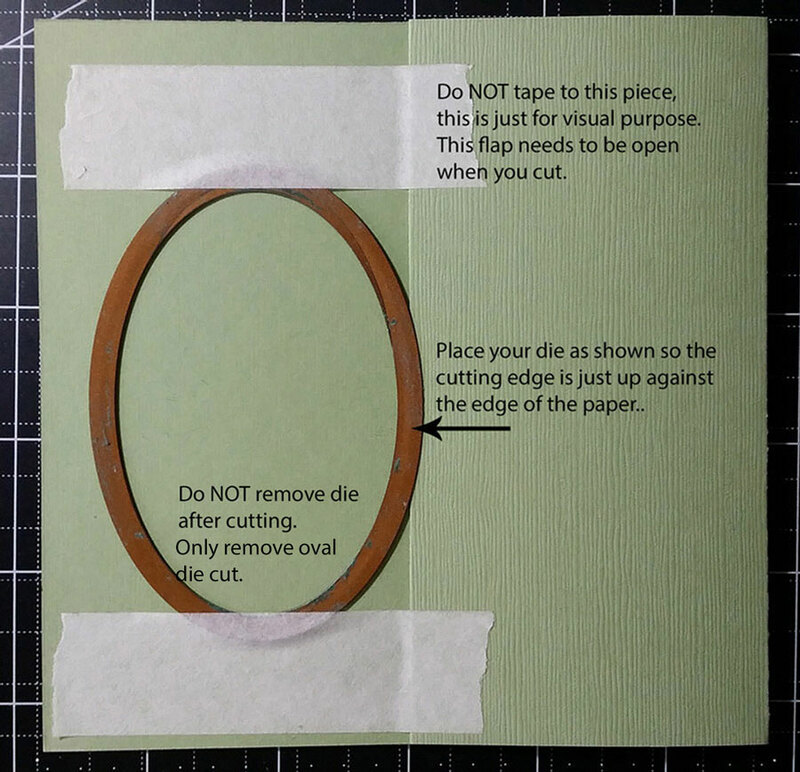 Place your oval die, blade side down, halfway between the top and bottom, with the cutting blade up against the edge of the folded piece. Using removable tape or sticky notes, secure in place. Unfold the paper and run through die cutting machine. This is “window 1”. Go ahead and remove the die cut, leaving the die in place so you can mark where the other ovals will go. Take the inner card and place it back to back with the card front, making sure the edges are aligned. Trace the inside of the oval. 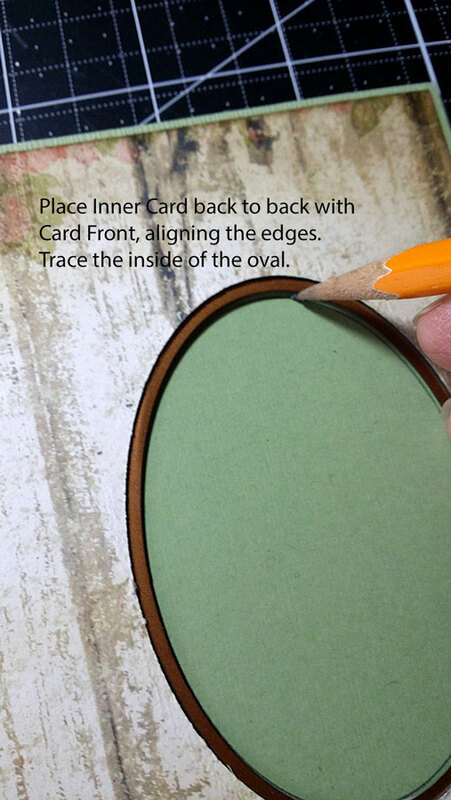 Remove the oval die from the card front and place it over the penciled oval on the inner card. Secure with removable tape/sticky note. 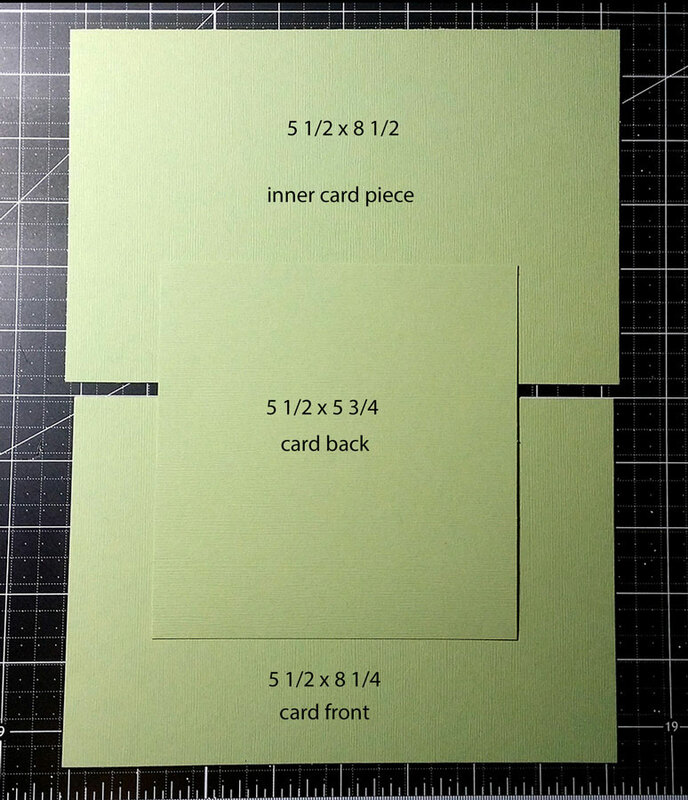 Leave this inner card folded and run through your die cutting machine. It probably won’t cut entirely through to the second piece. 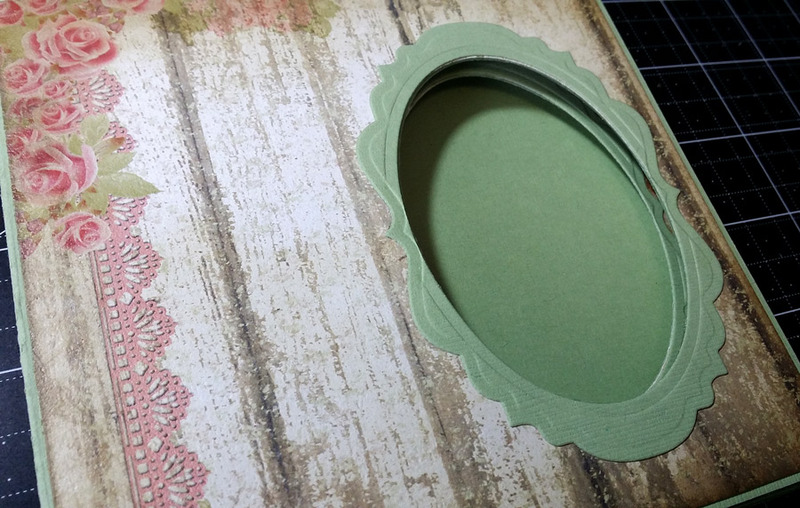 Take the oval and fit it into the grooves, secure and die cut. You should now have 3 windows. Refold the inner card and apply adhesive to the back panel that has Window #2. Adhere the card front to the inner card, aligning Window #1 to Window #2. 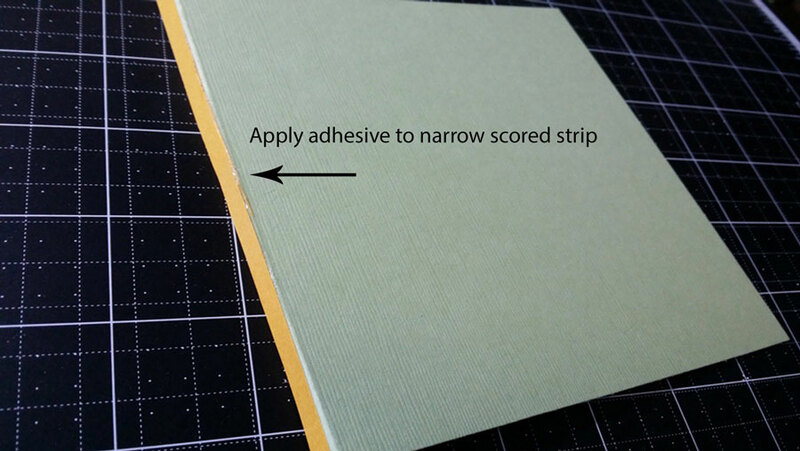 Take the card back and apply adhesive to the narrow strip. Adhere to the back of the inner card that has Window #3. 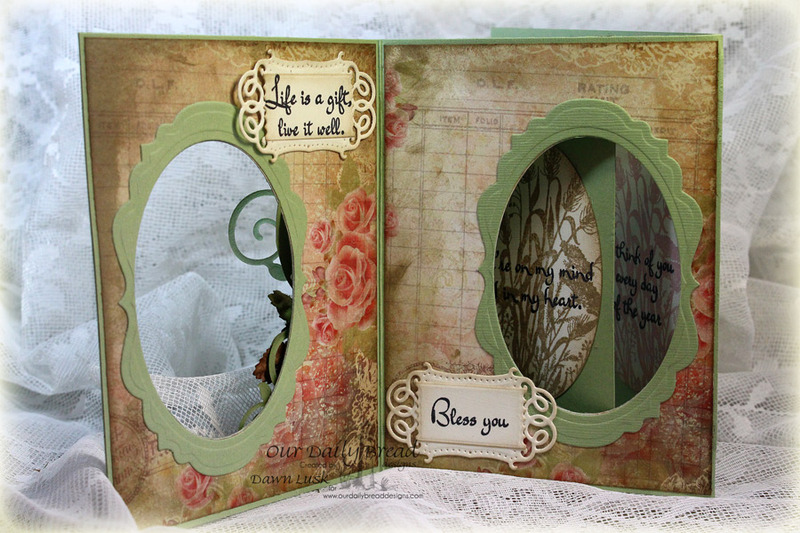 Make a frame for each window by using an oval and the largest die from the Vintage Labels die set. *If you do not have the exact size as shown here, cut separately to avoid cutting into your dies when stacked. 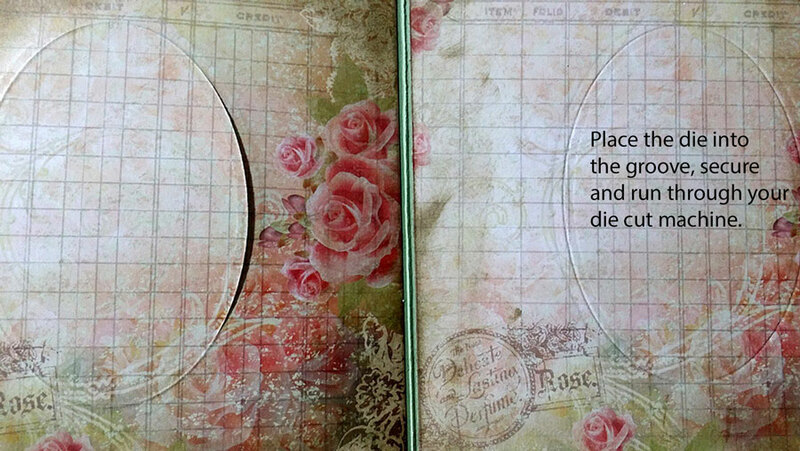 Example: you would first cut the Vintage Label, then center the oval die over the label die cut and cut again. Adhere your frames over your windows, aligning edges. Now the fun begins! 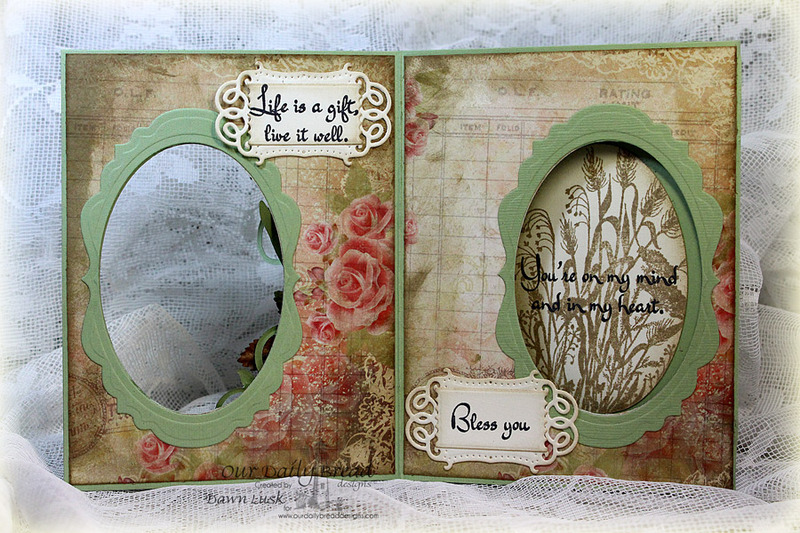 Stamp your images you want for your windows, using the same oval die to cut them. Embellish the front and inside as you want. 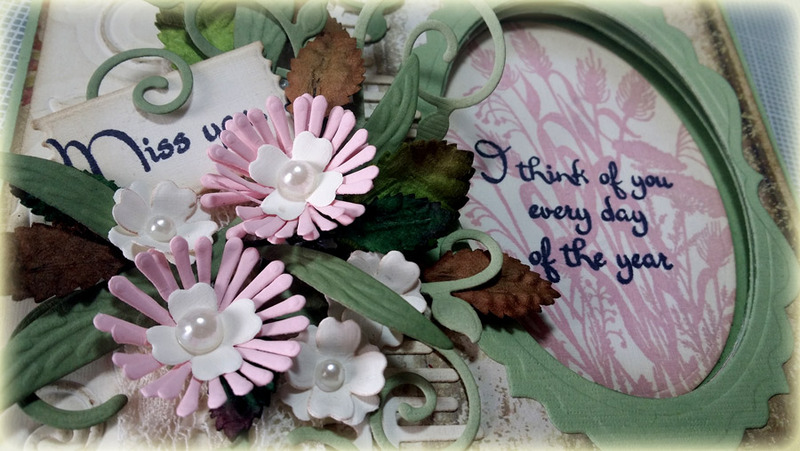 I sponged the edges of the Blushing Rose, ovals, and die cuts. I also sponged the embossed Fancy Foliage panel on the front. 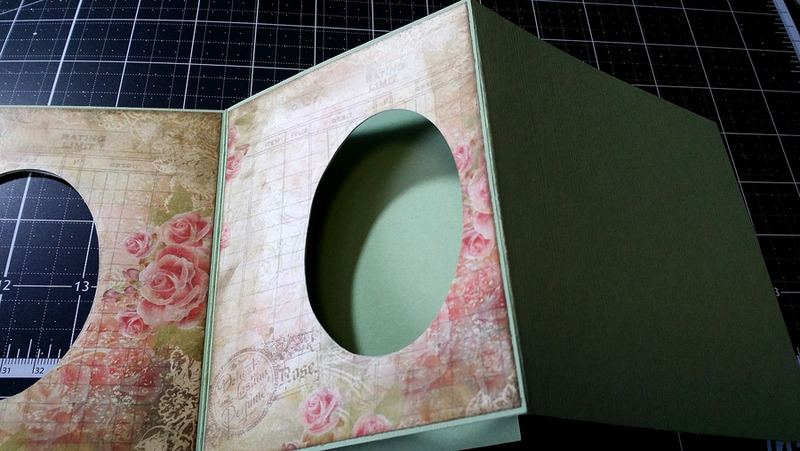 Thank you so much Dawn for sharing your fabulous Peek-a-Boo Card tutorial and stunning card! 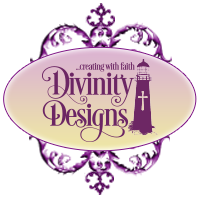 Awesome tutorial and sample, Dawn!!!!! Wow, so amazing!!! Thank you!! HUGS!! Stunning card and wonderful tutorial. This is a really beautiful card. Love the tutorial too thanks. Great tutorial and beautiful card! I'd love to see a video of the process as well! Thanks for sharing!! !